Small Space Jewellery is an intimate encounter of the contemporary kind, first established in 2000 by Robyn Wernicke, who has been working as a jeweller and designer for over 30 years. For those of us who love shoes! Don’t we all! 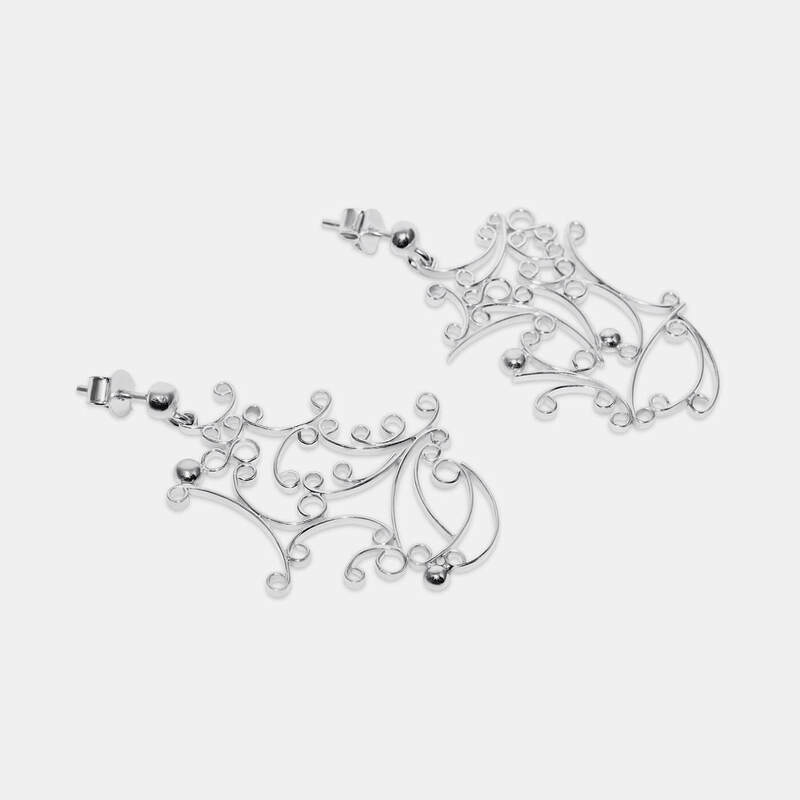 Referencing the grandeur of the past with a contemporary asymmetrical twist. 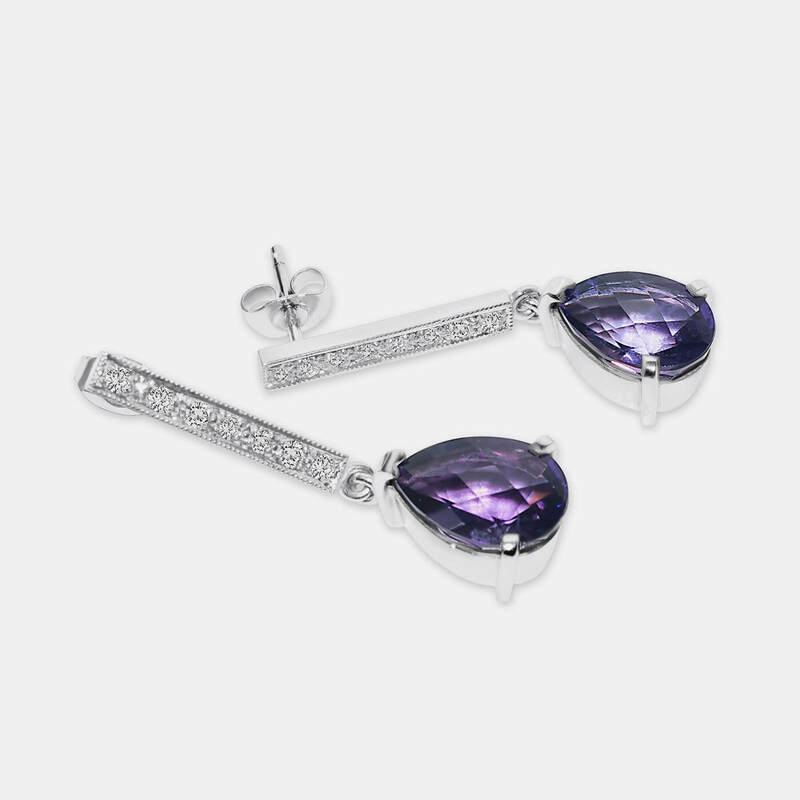 9ct white gold, amethyst and diamond drop earrings. 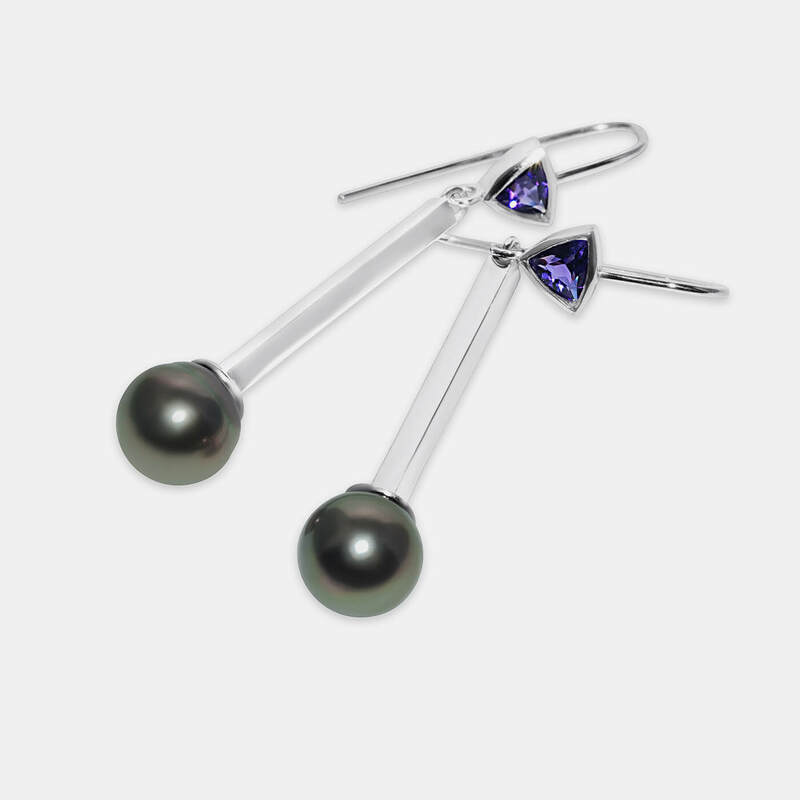 18ct white gold, south sea pearls and tanzanite earrings. The luster of our very own South Sea Island pearls, glisten like no other. Australia is the source of some of the best. 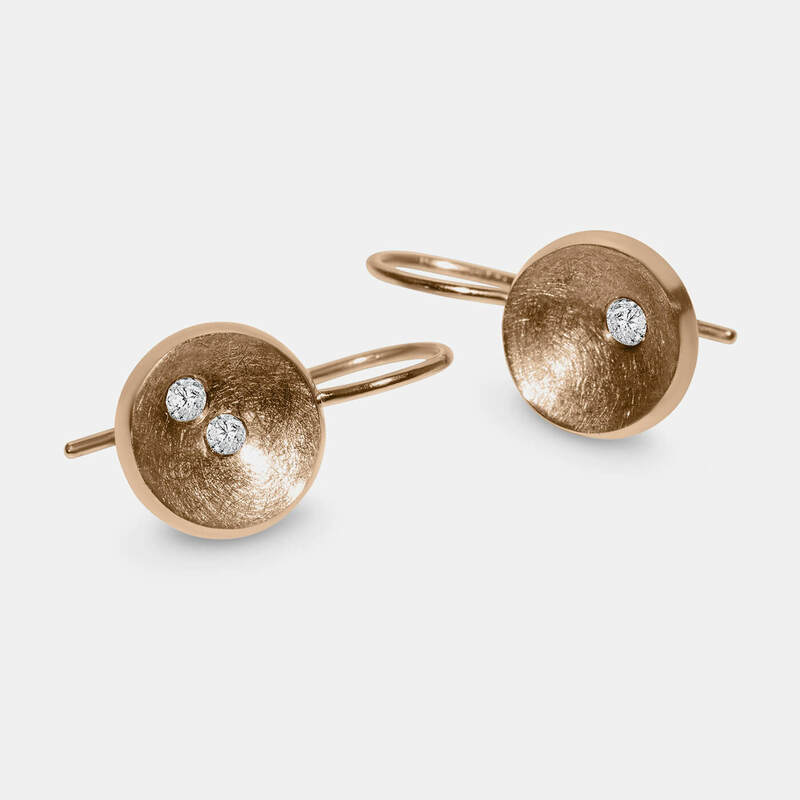 9ct rose gold and diamond drop earrings. Rose gold with diamond lights. Available in other colour combinations. 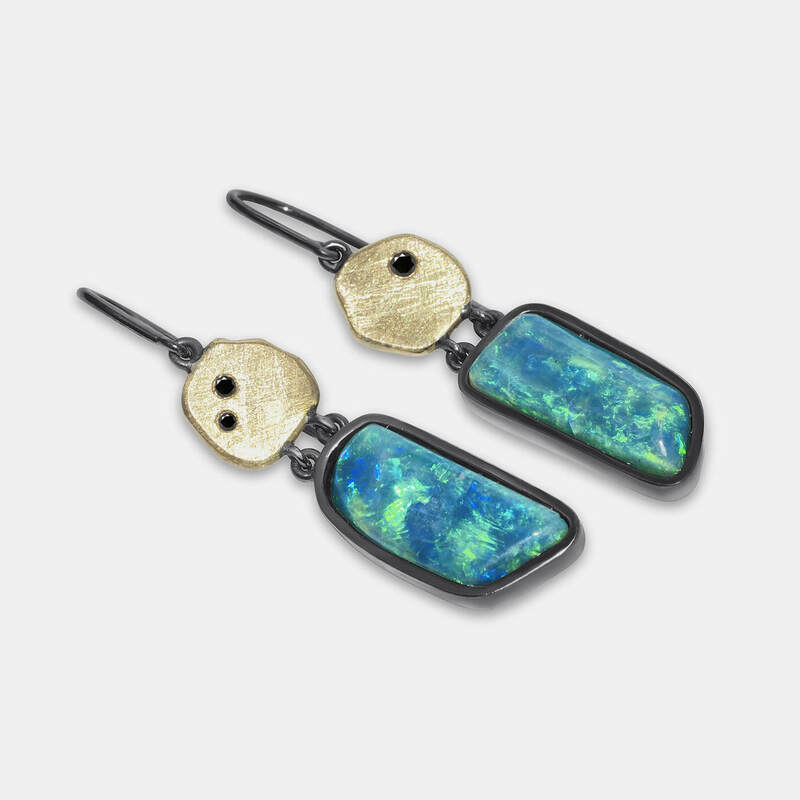 18ct yellow gold, black rhodium, black diamonds and Australian opal earrings. 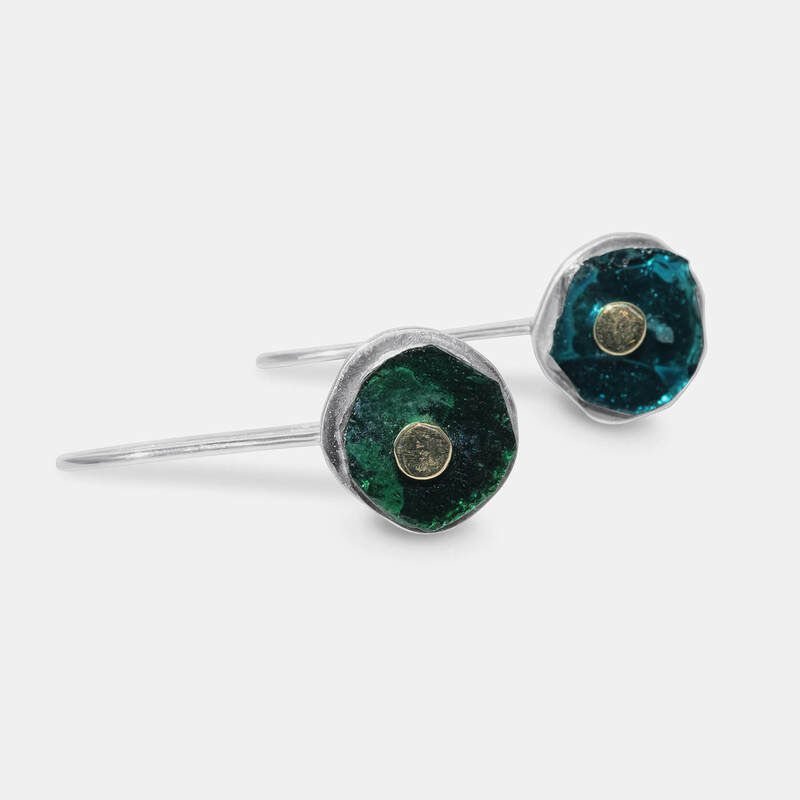 Sterling silver, 18ct yellow gold and roman glass earrings. Why not have both? This Roman glass is dug up in and around the Afghanistan desert and is from the Roman era. Each piece is stamped with Robyn Wernicke’s unique makers mark. Our after care service includes free ultrasonic cleaning and appraisal. We pride ourselves on our attention to detail . Each piece is meticulously crafted by hand.